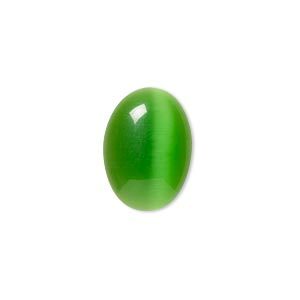 Cabochon, cat's eye glass, green, 30x22mm calibrated oval, quality grade. Sold per pkg of 2. 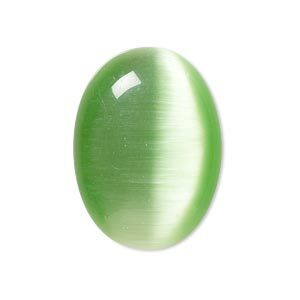 Item Number: H20-1027XE Have a question about this item? 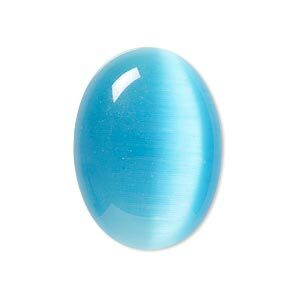 Cabochon, cat's eye glass, turquoise blue, 30x22mm calibrated oval, quality grade. Sold per pkg of 2. 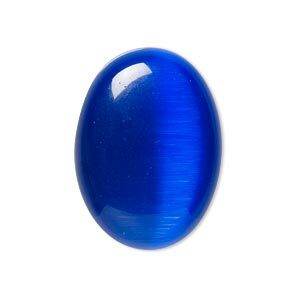 Cabochon, cat's eye glass, blue, 30x22mm calibrated oval, quality grade. Sold per pkg of 2. 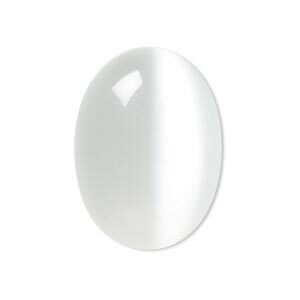 Cabochon, cat's eye glass, white, 30x22mm calibrated oval, quality grade. Sold per pkg of 2. Cabochon, cat's eye glass, pink, 30x22mm calibrated oval, quality grade. Sold per pkg of 2. 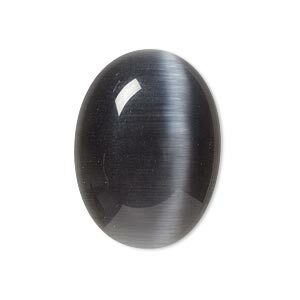 Cabochon, cat's eye glass, black, 30x22mm calibrated oval, quality grade. Sold per pkg of 2. 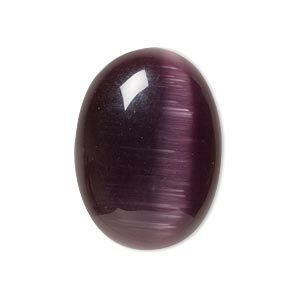 Cabochon, cat's eye glass, purple, 30x22mm calibrated oval, quality grade. Sold per pkg of 2. 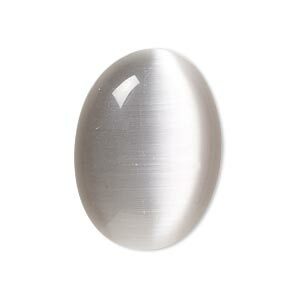 Cabochon, cat's eye glass, grey, 30x22mm calibrated oval, quality grade. Sold per pkg of 2. 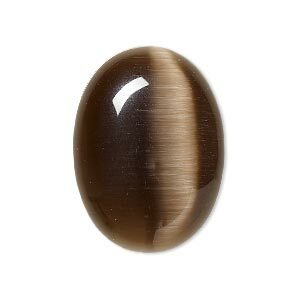 Cabochon, cat's eye glass, brown, 30x22mm calibrated oval, quality grade. Sold per pkg of 2. 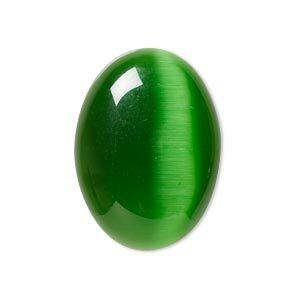 Cabochon, cat's eye glass, green, 18x13mm calibrated oval, quality grade. Sold per pkg of 6.